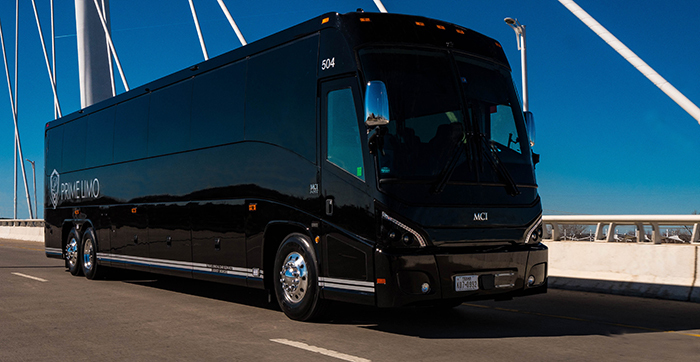 Motor Coach Industries (MCI) marked the delivery of two coaches to a young ground transportation that’s on the move. Nine years later, Dolani’s Prime Limo employs 35 with a fleet of 42 vehicles including black town cars, minibuses and now two new 2019 MCI J4500s built completely to his specifications. It’s a move that allows the executive and event transport company to explore deeper relationships with the Dallas area’s biggest clients, made easier by the J4500’s interior touches. 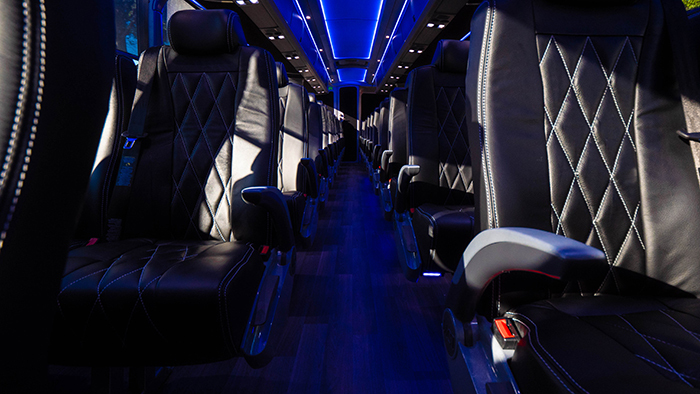 Dolani invested in MCI’s RGB programmable lighting option that allows, groups, companies and sports teams to travel in comfort with their own colors in addition to plush leather seating and a roomy 56-seat configuration for maximum comfort. However, Dolani said he also chose the industry’s bestseller for two other important reasons — economy and safety. Prime Limo’s two new MCI J4500s represent the industry’s lowest cost of operation with maintenance, propulsion and safety features that are setting the standard. Dolani invested in the J4500’s optional Bendix Fusion system, offering Advanced Driver Assistance Systems (ADAS) with collision mitigation that integrates a forward-facing camera with vehicle recognition software that recognizes speed and traffic signs, detects stationary obstructions and signals safe lane changes. It’s the reason Dolani is working on a web page right now dedicated to his company’s new charter business and its safety and ADAS capabilities. Customizing for the exact customer in mind is a tradition at Prime Limo, Dolani said. He supports this philosophy with a well-trained maintenance and detailing team led by a master detailer responsible for the entire fleet. The company takes its work ethic from Dolani, who is in the office every day including weekends. It’s what many independent business owners do. “If you want to grow, you have to keep improving, and that takes focus and dedication,” he said. During college, the business major student Dolani kept driving part time and on weekends and continued in the off hours from his full-time job as a pharmacy technician at Prime Pharmaceuticals, which inspired the name for his fast-growing company. And as he built the business, he also built his staff. Dolani also credits his sales and service team at MCI — Prime Limo’s headquarters is a short distance away from technical, parts and sales assistance at MCI’s Dallas Service Center located at 9787 Clifford Drive. Prime Limo’s website is located at primelimo.com. This release was originally published on the MCI website. You can view it here.